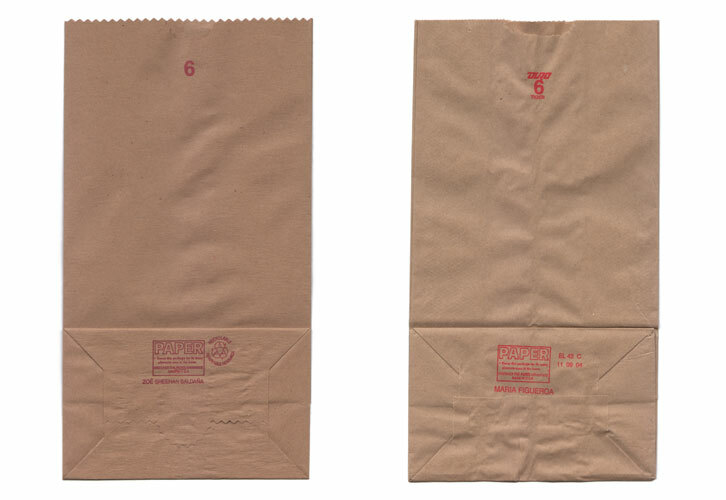 On April 28, 2005, I traded a paper bag of my own creation for a paper bag of equal size. The trade took place at La Taza de Oro at 96 Eighth Ave. between 14 and 15 Sts. in Manhattan. Above left: photograph of handmade bag. Above right: bag received in trade.